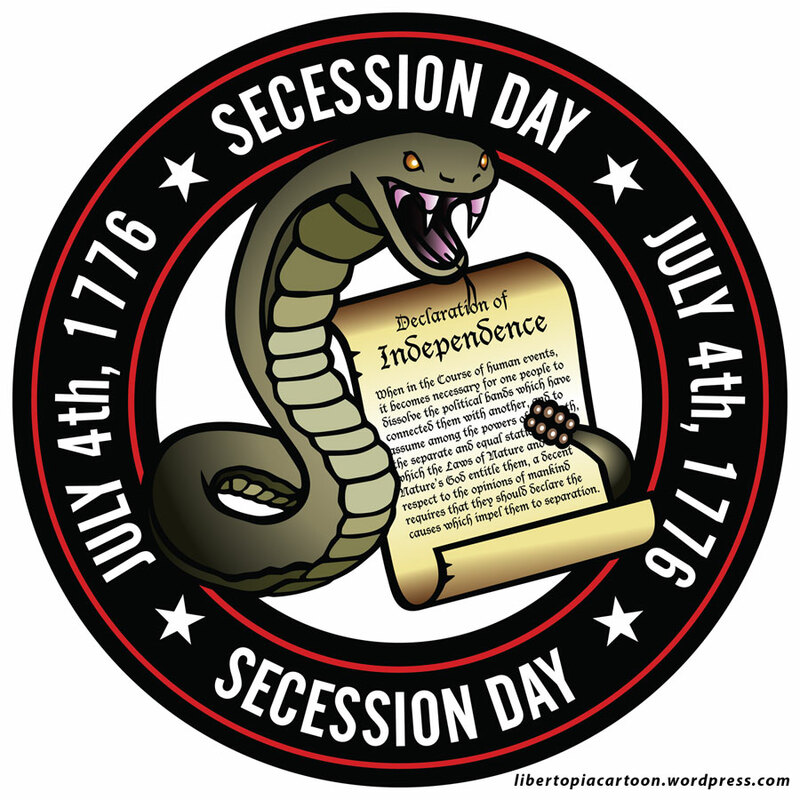 Happy Secession Day! On July 4 of every year here in the not-so-United States of America, some of us remember how our patriotic ancestors bravely lit off sparklers, waved British flags and sacrificed so much in order to barbecue a few hamburgers in honor of good old King George. Sure, they were being gunned down in the streets, faced heavy taxation, and were subject to ridiculous amounts of bureaucracy and corrupt politicians – but come on? What would they have done? Throw tea into a harbor? Pen a Declaration of Independence? Secede from a tyrant government, and then fight against invading forces bent upon re-subjugating the rebellious through terrible acts of force and aggression? Yeah, sounds like too much work to me too. Now let me get back to my beer. P.S. If you like the above design, check out some of the other cool designs available at my store! Imagine how awesome you’ll look by making a great and unique statement for liberty and freedom in your community! This entry was posted in Uncategorized and tagged bureaucracy, corrupt politicians, declaration of independence, Don't Tread on Me, force and aggression, gadsden, july 4, King George, Liberty, patriotic, secede, secession day, Taxation. Bookmark the permalink.